This is a spell to find lost things. This spell was designed to find something you have lost in your home, but can help you find virtually anything. You can do this spell during anytime during the moon phases but it is best to do this spell during the waxing moon. This spell is simple but you should find the lost things quickly. Also people have been asking me about studying magick on their own. If you want a great home study course then I would suggest you get your hands on this program. Release the magick and close your circle. Place the still burning white candle in the highest part of your room (make sure it can safely burn out there) and when the candle is burned through bury the candle stub. While the candle is burning don’t look for the item you lost but clean your house from top to bottom. If it is in your home you will find it. 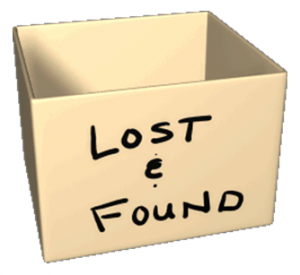 If it is not in your home then when the candle is a stub bury it outside and ask for the lost items return. Leave all questions, comments, suggestions, and tips about this spell to find lost things below. Did this spell to find lost things work for you? Thank you so much for visiting the website. I am so happy and grateful for this websites rapid and steady growth. Thousands of you visit this website everyday and I am very happy to post and provide the information you are seeking.